FNA – Iranian companies signed 8 Memoranda of Understanding (MoUs) to boost technological and scientific cooperation with foreign states in different arenas. The MoUs were inked in the presence of the head of the Iranian Directorate for Scientific and Technological Affairs of the Presidential Office for management and investment affairs Alireza Daliri in Tehran on Sunday. “The today contracts can provide an opportunity for interactions between Iranian knowledge-based companies and the companies and universities of other countries, including Iraq,” Daliri said. He added that Iran’s technological products are every year exported to different countries, including the European states, saying that Tehran enjoys a special position in the development of a number of these technologies. 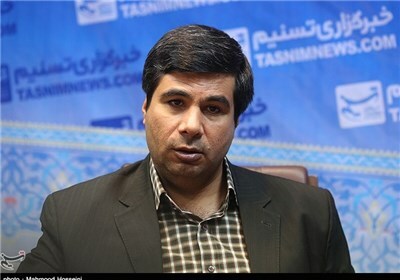 “Iran ranks 4th in the world in nanotechnology,” Daliri said. The nanotechnology growth indicators for Iran have marked a high rise during the recent years as in the total number of the scientific publications, the country has just jumped up two ranks (at the beginning of 2012) to stand 10th in the world. Iran ranked 14th, in the same list, at the beginning of 2011. In the past couple of decades, Iranian scientists and researchers have made great progress in all fields of science and new technologies, including nanotechnology, while under pressure of US sanctions and foreign imposed limitations.